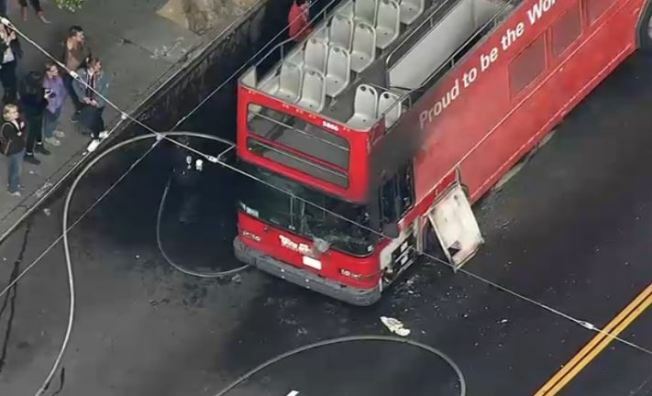 A tour bus caught fire in San Francisco late Wednesday afternoon. The incident was reported on 300 block of Columbus. Two adults were transported to a hospital, firefighters said.